Being a tourist in Shanghai or visiting Shanghai is always a good experience. 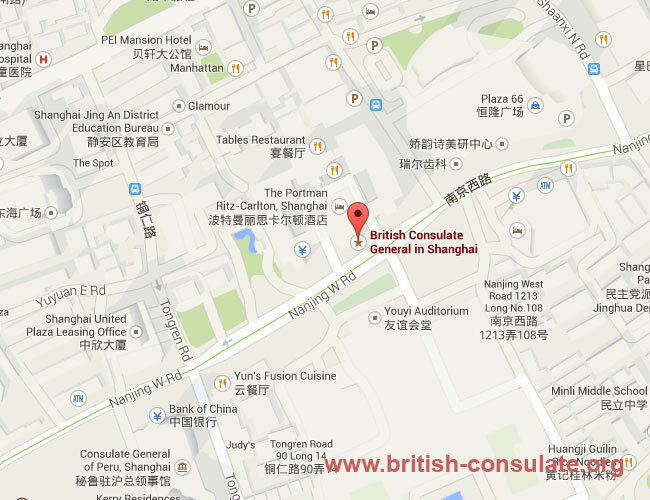 If you do have problems while in China or in Shanghai then you can always contact the British Consulate in Shanghai for consular assistance. They can assist you if you have been involved in an accident or if you have lost your passport and need an emergency travel document. You can also apply for a visa in Shanghai such as an education visa or a partner visa while in the country. If you need access to a public notary then you can also contact them about showing where to go. If you are working in China then the British Consulate in Shanghai can also assist you with a fiancee visa or marriage visa when returning back to the UK. The contact details for the Consulate has been added below with a map to the Consulate. You can also contact the British Embassy in Beijing for assistance or speak to the British Consulate in Hong Kong about renewing your BNO passport while in China.